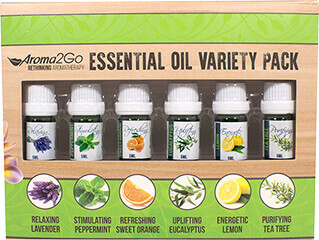 Clear your senses with this blend of 100% pure oils. 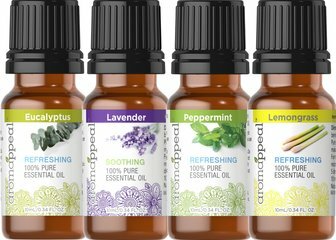 Peppermint and spearmint penetrate and cool, while lavender and chamomile exercise their calming influence in this blend. Gray Matter Batter combines the contrasting effects of cooling, clarifying peppermint with soothing, calming lavender to create a mesmerizing balancing effect on our cerebral humors. In this clarifying and balancing meditation recipe, the minty freshness will clear emotional tension while the soft, herbal-floral aroma of lavender ushers in deep relaxation. Combine sweet almond oil and Gray Matter Batter in palm of hand. With fingertips, apply and massage into temples and along spine at base of cranium. Rub hands together, cup over face and inhale aroma on 3 counts, hold for 3 counts and exhale for 10 counts while meditating on clarity and calm.